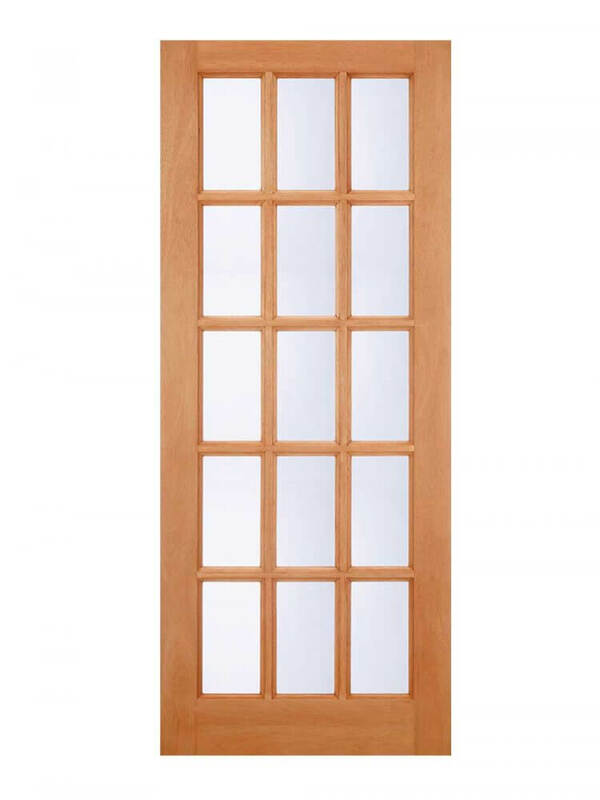 Hardwood Glazed 15-Light External Door. Fifteen Clear double glazed lights. Hardwood SA 15L M&T Glazed Clear. The SA design, fifteen, clear, double glazed windows creating a traditional look for your home. Clear Glass double glazed units.